Ocoee, Fla. – Paris Nails joins Lake Olympia Square in Ocoee. 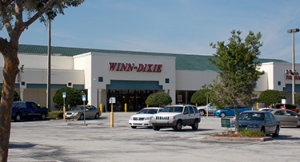 The 87,566-square-foot shopping center is anchored by Winn Dixie and houses Sylvan Learning Center, Lake Olympia Veterinary Hospital, Frank’s Place and Good Homes Preschool as some of its tenants. Paris Nails has multiple locations in Central Florida including Turkey Lake Road and Altamonte Springs, and is continuing to expand. Crossman & Company’s landlord representatives Rochelle DuBrule and Katherine Rush worked with tenant representatives Tom Heer and Julia Sosa with Land Qwest Commercial.